Deny the Holocaust, but Don't Question Sharia? Why is it encouraged, even praised, to deny the unimaginable suffering that millions went through during the Holocaust, but if anyone dares to question Sharia their lives are in danger? If you dare even to joke about Islam, your punishment can range from torture, long terms of imprisonment, to swift death sentences, either judicial or from mob violence. 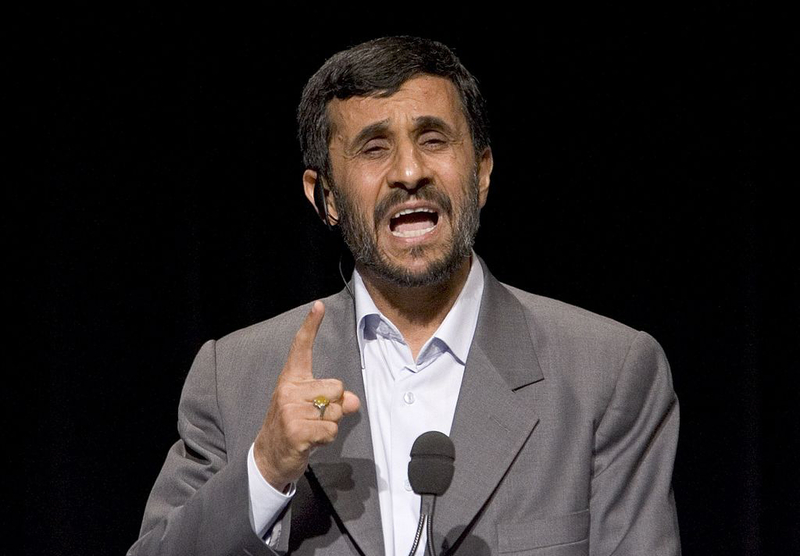 "They have created a myth in the name of the Holocaust and consider it above God, religion and the prophets," — Former Iranian President Mahmoud Ahmadinejad, on Iranian state television. If you grew up between Iran and Syria, as I did, you would have lived underneath the iron rule of dictators such as Bashar Assad, Ayatollah Khamenei, Mahmoud Ahmadinejad, and Akbar Hashemi Rafsanjani. In addition to the fear and oppression they maintained over their people, all of these rulers appeared to have another "tradition" in common. They are all deny the Holocaust. It was common to hear from whoever worked for the Iranian regime that the Holocaust did not exist. Despite the mountain of clear facts before them, they chose, and continue to choose, not only to believe that the Holocaust was a fabrication, but to spread this belief to their people. "The Holocaust is a fictional story made up by Israelis, Americans and Jews," you would have overheard, as I did, a member of Iran's Islamic Revolutionary Guard Corps (IRGC) say to his colleagues. The group stood next to its patrol car while rigidly monitoring people's behavior and clothes on the street. The words, even then, created a shock. How could anyone deny such atrocities? These notions are pressed on children from a very young age -- presumably with the intention of brainwashing them into agreeing. Instead, however, over the years, the question became more insistent. Why was it totally acceptable to deny one of the worst humanitarian tragedies in the modern era, and not question Sharia? The Holocaust involved some of the most sickening crimes against humanity, all of which were committed less than a century ago. There is ample unquestionable historic evidence to prove that it occurred. Still, the leaders of Iran and Syria, as well as many Islamist imams, continue to encourage people to deny it. At the same time, it is forbidden even to question Islamic laws, some of which were created more 1400 years ago. Why is it encouraged, even praised, to deny the unimaginable suffering that millions went through during the Holocaust, but if anyone dares to question Sharia their lives are in danger? You must never question the veracity of the stories that imams relay about Islam, Muhammad, and his God. If you dare even to joke about Islam, your punishment can range from torture, long terms of imprisonment, to swift death sentences, either judicial or from mob violence. The latest example is the case of Sina Dehghan, 21, arrested by the Revolutionary Guards when he was 19, for allegedly "insulting Islam". Charges were brought against him for insulting the Prophet Muhammad on the messaging app LINE. For this supposedly enormous crime, a young man, still in his teens, was swiftly sentenced to death. The not-surprising answer seems to be that there are major incentives to denying the Holocaust. Islamist systems reward and celebrate those who deny the Holocaust. The reinforcing response to this unreasonable behavior is substantial, ranging from obtaining high-level military positions to gaining powerful political positions. One person, Mahmoud Ahmadinejad, was rewarded for his denial by becoming the president of the country. "They have created a myth in the name of the Holocaust and consider it above God, religion and the prophets," Ahmadinejad said in a live broadcast on the regime's state television before his second-term presidential election. Ahmadinejad even admitted that his Holocaust denial was his biggest achievement. Hassan Rouhani, the current so-called "moderate" president of the Iranian regime, is not any different from the previous one. He is clearly a Holocaust denier as well, and continues to encourage those that work in his government, and all of his people, to follow the same fraudulent belief. The regime spends a significant amount of money and time, from the top down, to spreading the notion that Holocaust did not occur at all. "It is not clear whether the core of this matter [Holocaust] is a reality or not. Even if it is a reality, it is not clear how it happened...This is the ignorance that exists in today's world. We should be awake. [Muslims] should know that we can stand up against the ignorance.... Who assists the fake Zionist regime.... Who supports them, who clears the road for them, who stands behind them? It is Western powers headed by America that are doing so. This is while they say in their slogans that they are opposed to terrorism and ISIS." In addition, the regime spends millions of dollars each year on Holocaust-denial cartoon competitions, reflecting their attempts to spread anti-Semitism across the world. People are invited from various countries, and hundreds of thousands of dollars are awarded to the winners. According to the regime's official IRNA news agency, the conference last year drew participants from more than 50 different countries. What is mind-boggling is that while these extremist Muslims have ratcheted up their engagement in such activities, the international community, and many countries in Europe and the West, continue to host these extremists and Iranian leaders, and provide them with a platform to speak -- all of which gives them additional legitimacy. 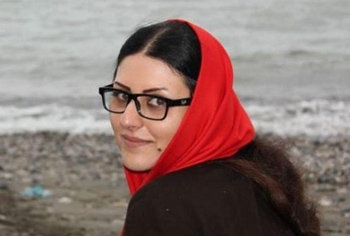 Much time has passed since the Iranian Revolution, but unfortunately one thing has remained the same: The extremist Muslims continue to reward and promote Holocaust-deniers, while brutally punishing anyone who dares to question Islamic laws. If the international community does not take a stand and demand that these accommodations be changed, we will all just be treated to more of this malignance and more of the mullahs. Dr. Majid Rafizadeh is president of the International American Council on the Middle East. He is a Harvard-educated and world-renowned Iranian-American political scientist, businessman, and author of "Peaceful Reformation in Iran's Islam". He can be reached at Dr.Rafizadeh@Post.Harvard.Edu. Jew hatred is enshrined in the later parts of the Quran, after Mohammed realized that Jews weren't going to join his new movement. Jews are famous for having invented ETHICAL monotheism. Mohammed changed this to UNETHICAL monotheism and his adherents don't like disagreement. They are also not put off by hypocrisy, illogic or contravention of fact. The whole islamist ideology is based on a god that does not exist, on a false prophet that spoke out of a sick, delusional & perverted mind and on a book containing plagiarised and reworked stories of the Bible, revised to suit - plus other invented, unreal stories and "teachings". "Truth" therefore is an unknown concept in this primitive ideology, it's totally outside the scope of the islamists' worldview. I used to live in Kuwait (2/1 Sunni/Shia, outnumbered hugely by foreigners) At an induction course for new diplomats and others we were told "...alcohol, women and even drugs we can often find a way around. Insulting Islam, however, means at best instant deportation or worse." It was not unknown for people to tear a page from the Qu'ran and drop it on the floor so one inadvertently trod on it, whereupon there would be screams of an insult to Islam. As a direct consequence, Jew-hatred is universal, thus Shoah denial is just part of the package. In the West the Left are able to use the Holocaust as evidence of the ultimate evil of Right wing politics (always assuming that Nazis/Fascists were simply Right wing). Yet the Left simultaneously denounces Israel even denying its right to exist with a hostility that looks distinctly anti-semitic. I may be stating the obvious but it still disgusts me that the same level of condemnation is never used by the Left in regard to the brutal history of Communism. Left wing atrocities are simply shrugged off. This is mostly a matter of non-thinking -- of people accepting what they're told as truth, and doing as they're told without questioning any of it. If people could be induced to think, question what they're told, and look for answers outside the approved sources, it would all fall apart. But most can't, or won't think, or fear separating from the herd -- unless they can be indoctrinated and led by those few who do think, nothing will change. Most people simply aren't curious enough to look for anything beyond what is commonly taught and accepted. Propaganda and indoctrination work on most people, and to change public perception it's necessary to control the education and information industries. This is how socialism and radical Islam have come to power today, and probably the only way to defeat them is to take the sources of public information from them, and propagandize in a different direction. Civilization is dancing on a cord of lies and bound to fall of and be crushed. Why is holocaust denial OK but questioning Sharia is not? Silly question. He who is in control controls the political narrative it has nothing to do with fairness or logic. The problem IS NOT why people like Ayatollah Khamenie, Mahmoud Ahmadinejad, or any other Muslim ANTISEMITE denys the HOLOCAUST, all these "nice people" KNOW that the HOLOCAOST happened --- they can deny it all day long. Unfortunately, many other ignorant Muslims believe it. That is one reason to leave them ignorant. The main problem are all the other so--called "decent Europeans" who also deny it, even though they TOO KNOW THE TRUTH --- their own relatives lived through it. These so--called educated people are the real ANTISEMITES. They were always ANTISEMITES and they will remain ANTISEMITES. So, the Muslims are in and the Jews are out. Thank you Majid Rafizadeh and Gatestone. We are used to anti-Semites denying the Shoa. Iran is a special case because it is also readying for a bigger Shoa for "The one bomb state."